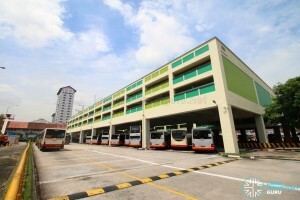 Under the Bulim Bus Package, Tower Transit Singapore (TTS) would take over operations of Bukit Batok Bus Interchange from SMRT Buses, along with Bus Services 77, 106, 173, 177, 189, 941, 945, 947, and 990 which originate from the interchange, from 29 May 2016 onwards. Tendered bus services originating from Jurong East and Clementi Bus Interchanges will be transferred to the new operator on 12 June and 26 June 2016 respectively. 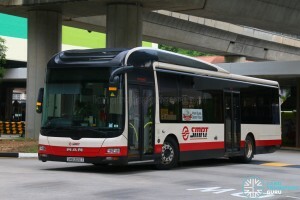 SMRT Buses would continue to operate Bus services 61 and 852 out of Bukit Batok, as both services are not included in the Bulim Bus Package. 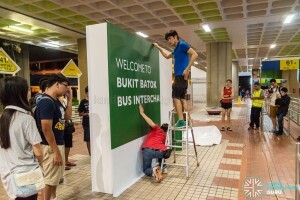 SMRT rolled out a publicity campaign marking the end of operations at Bukit Batok Bus Interchange, thanking commuters for their support with banners in the vicinity and balloons decorating the interchange. 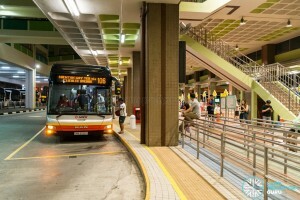 SMRT Buses had been operating bus services from Bukit Batok for 16 years since its Trans-Island days. 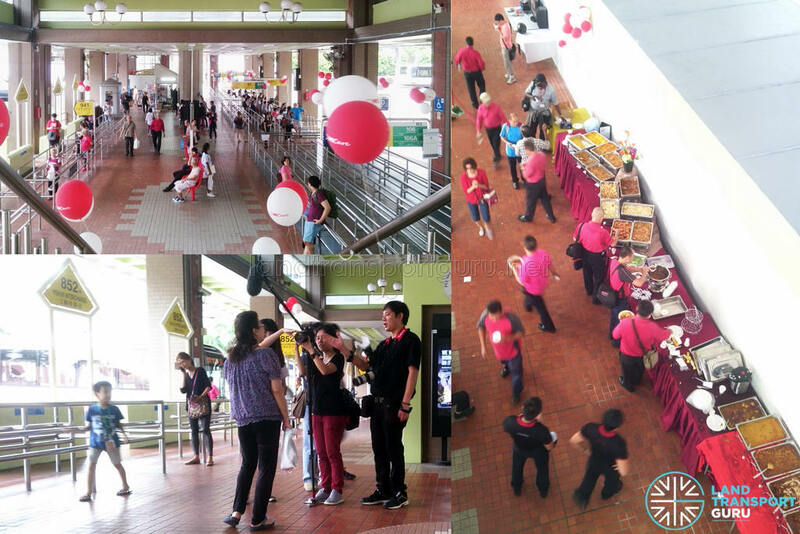 On 20th May 2016, SMRT personnel and media were spotted interviewing members of the public. 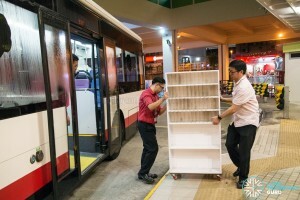 There was also a buffet spread for bus captains and interchange staff beside the staff lounge. 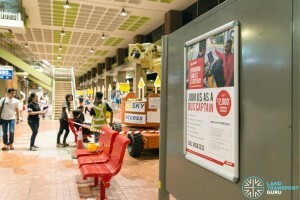 Tower Transit, the new operator, had also been moving equipment into its new staff lounges and office as it gears up for the takeover day. 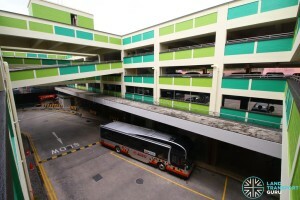 In the last round of Bukit Batok changing hands, Singapore Bus Services (SBS, now SBS Transit) bid farewell to Bukit Batok Bus Interchange in June 2000 as areas of responsibility were exchanged between operators. 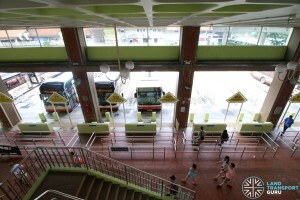 Trans-Island Bus Services (TIBS), which would later become SMRT Buses, inherited the interchange along with Bus Services 77, 189, 361, 365 and 367, with 61, 106 and 173 joining in by the end of that year. 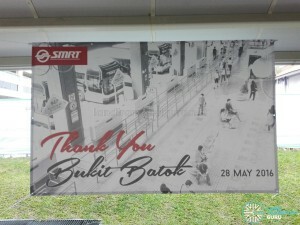 SBS held similar celebrations thanking residents for their support. 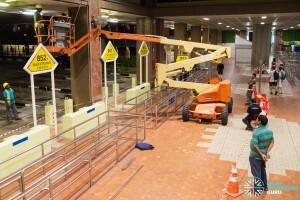 Final preparations were under way as SMRT prepares to move out, making way for Tower Transit. 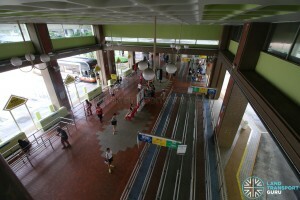 The SMRT Passenger Service Office has been dismantled, and the previously dull interior lightings have been upgraded to brighter ones. 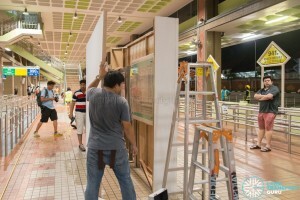 SMRT Interchange furnishings, such as their interactive screens, have been dismantled and moved out. 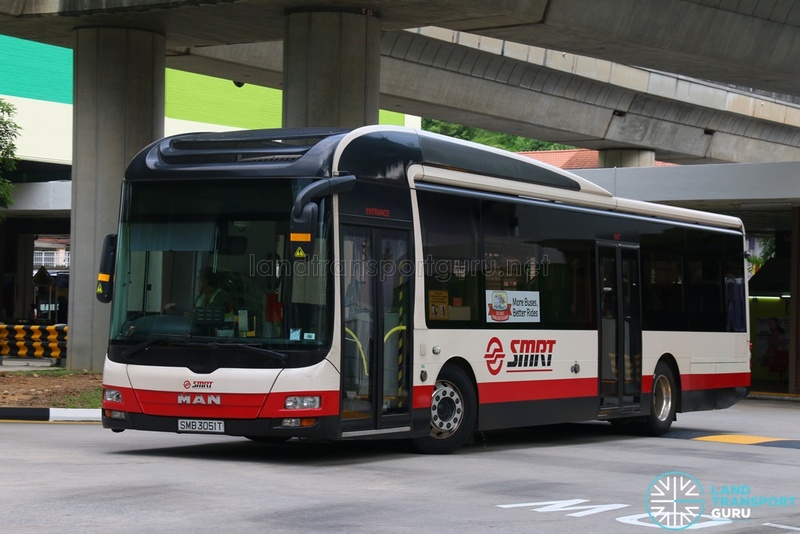 After the morning shift, GCM buses transferring to Tower Transit were inspected by a SMRT maintenance team before bring driven back to Bulim Bus Depot, where more in-depth checks and official vehicle handover procedures would be carried out. 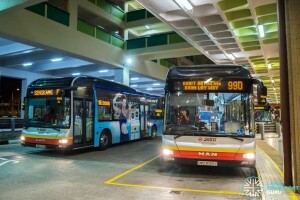 In the meantime, replacement SMRT buses were used on the afternoon shift buses, which would operate until the last bus. A crowd of bus enthusiasts were also gathered at the interchange to commemorate the last day of SMRT operations. 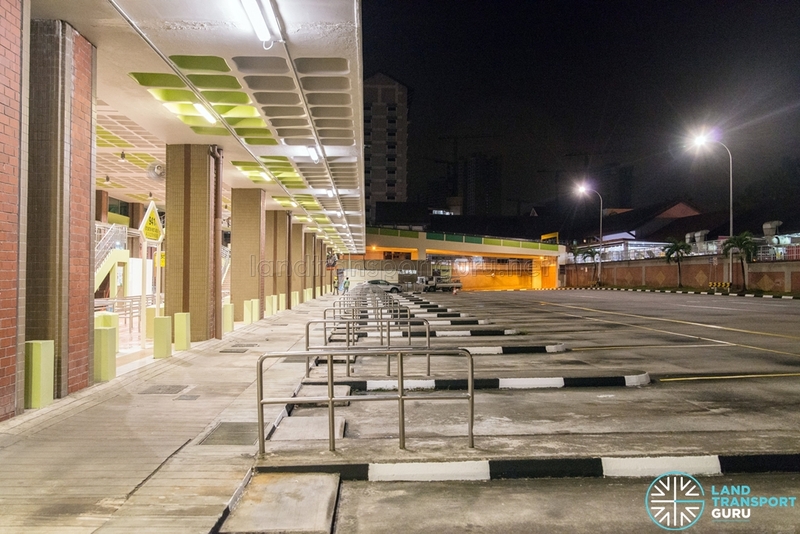 As night falls on Bukit Batok Bus Interchange, works carried on through the night as SMRT, TTS and contractors work to prepare the interchange for the next day. 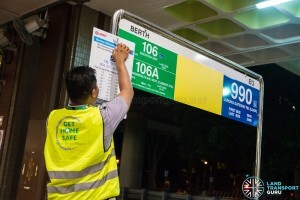 While SMRT shifted out the last of its equipment, TTS moved in its own, along with a new service guide rack and service information board. 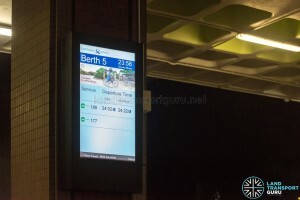 They continued to use SMRT-installed display screens for next bus arrival timings. 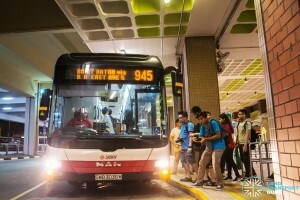 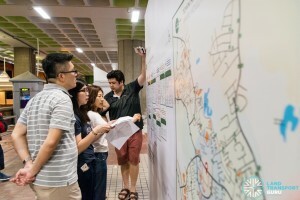 Into the final hours of SMRT bus operations in Bukit Batok Bus Interchange, bus enthusiasts descended to capture their last memories of the interchange and the eight bus services to be taken over by TTS the next day, namely 77, 106, 173, 189, 941, 945, 947, and 990. 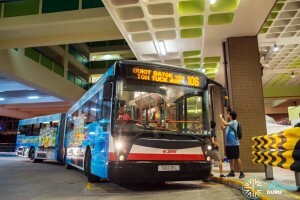 The peak hour Service 177 would only be operated by TTS on Monday. 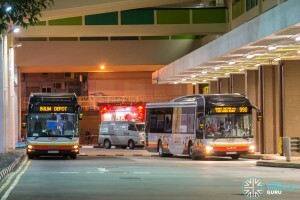 On 29 May 2016 at around 5am, the first Tower Transit buses entered the interchange, in preparation for their first day of operations. 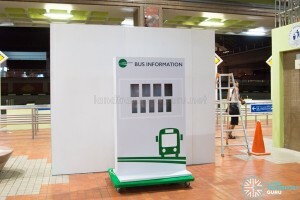 For a more detailed write-up, refer to the write-up here: Tower Transit First Day of Operations. 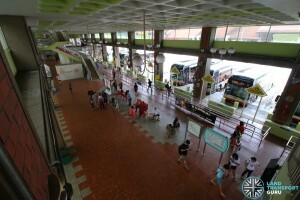 As a curious mix of of old and new SBS Transit and SMRT buses enter the interchange, some still in their old liveries and operator logo peeled off, others with TTS logos crudely stickered over the old operator logos, some bearing the standardized Lush Green livery of all future buses, and others with all varieties of TTS and LTA promotional advertising wraps; a bewildering assortment of fresh and used buses, familiar yet unfamiliar to Bukit Batok residents and seasoned commuters alike, and we are yet again reminded that Bukit Batok will never be the same again. 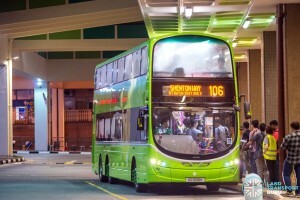 The inaugural trip of Service 106 is greeted by bus enthusiasts and a media crew. 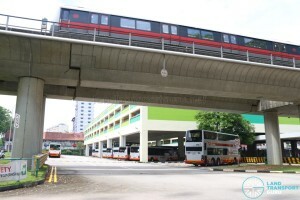 It is the first TTS service to deploy double-deck buses. 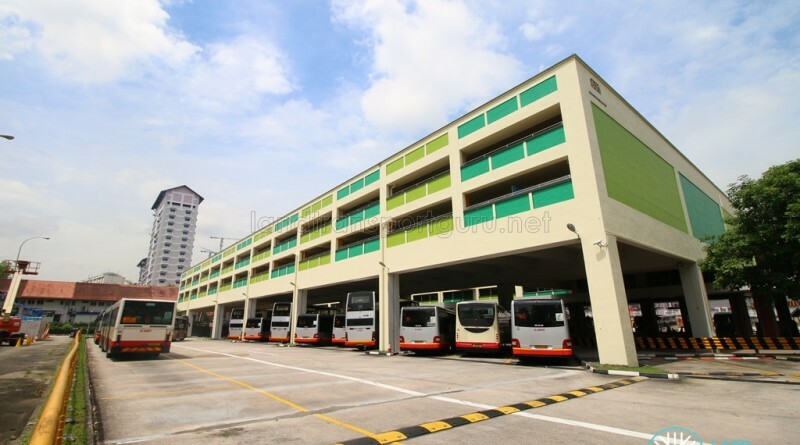 With the GCM expanding to include more contracts and more bus interchanges in the near future, Bukit Batok is just the first of many bus interchangse that will change hands, and inevitably lose their original character in the process. 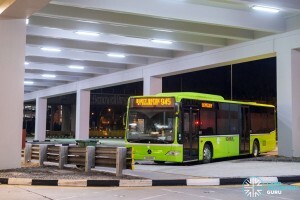 As TTS buses roll out across Bukit Batok and Western Singapore, the operator handover is not just a turning point for Bukit Batok but the bus industry as a whole, moving forward to the Government Contracting Model.